The very first of the ARTery galleries opened it's doors in Febuary of 2009. In conjunction with MidCoast Fine Arts' Gallery West, the gallery has gained national recognition. Our no-commission policy has attracted some of the best and brightest new talent in the Quad City Area. Staffed completely by artist volunteers. The ARTery gallery is home to some of best and brightest new regional talent. Owned and operated by artists, The ARTery gallery showcases works from painting, photography, jewelry, ceramics, and home furnishing. Our no-commission policy has attracted more than 50 ARTists. Every month, The ARTery gallery keeps their doors open late to host pARTies. Come enjoy live music, refreshments, and the company of your favorite ARTists. 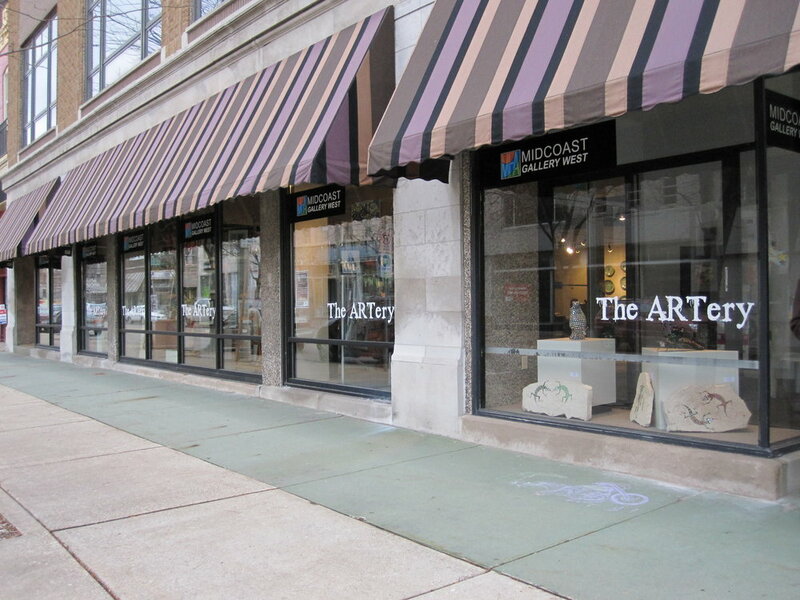 The ARTery, located in the District of Rock Island, hosts parties along with MidCoast Fine Arts Gallery West.